Image by Flickr user Dean Souglass. 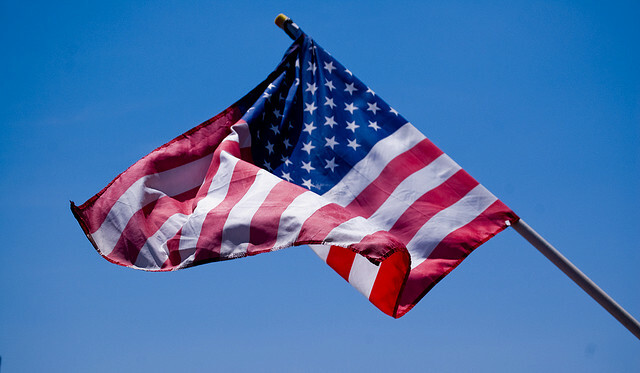 Did You Receive Our Mailer? 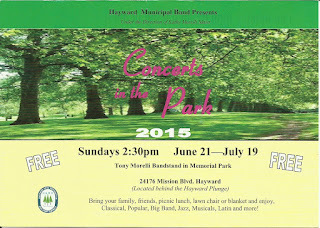 The Hayward Municipal Band's season announcement - the colorful postcard seen below - arrives in mailboxes this week! Did you receive yours? It has all the details about the 2015 band season. Look for it! If you did not receive a mailing, you can join the band's mailing list at the first concert on June 21. 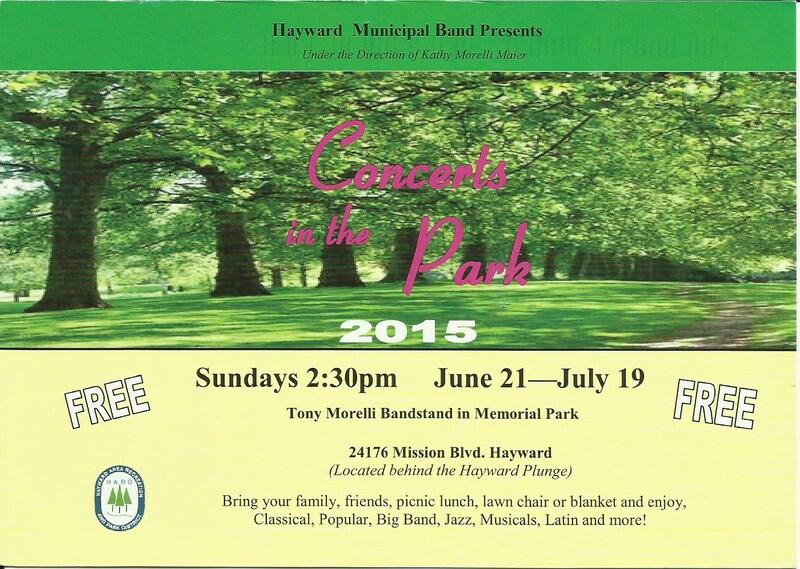 Thank you to the Hayward Area Recreation and Park District for supporting the mailing.